The realities of teenagers and clients are getting in the way of your mid-life crisis plans. You need something roomy and safe. But you’re not dead yet, so you want a little driving excitement and flair in a car that’s not going to cost you your collection of Thriller-era Michael Jackson-worn gloves. We examined three of the newest and best full-size family cars under $30,000 through our speed-obsessed lenses. We tested well-optioned cars: the Touring, the Ford Five Hundred Limited, and the Touring. The Chrysler and the Toyota Touring packages were mid-level offerings for the models, while the Limited was the top trim option currently offered on the Five Hundred. 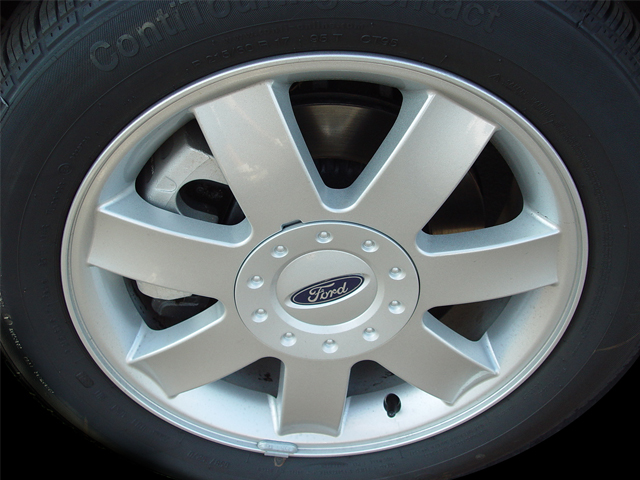 Despite that, the Ford sported the least expensive as-tested price at $27,390 as delivered, with only front-side and side-curtain air bags chosen as options. 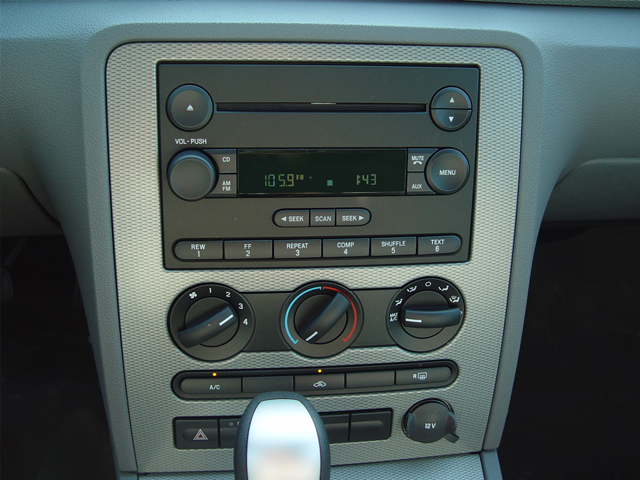 The Chrysler came in next at $28,865, which included a power moonroof and Sirius Satellite Radio. Our Avalon wore a $30,669 sticker price and was optioned with an anti-theft system, a power moonroof, a six-disc in-dash CD changer, and carpeted floor and trunk mats. Factor in the incentives currently offered on domestic cars, though, and the transaction prices of the Chrysler and Ford models undercut the Toyota even more. Overall, we found the Chrysler and Ford entrants much improved since their most recent marque predecessors (the LHS and the Crown Victoria, respectively), but they’re not yet on even ground with the Toyota from a quality standpoint. From the OutsideThe exterior of the Chrysler is the most interesting of the bunch, and based on the sales success of the car, we’re not the only ones who think it looks cool. We chose the 300‘s V-8-engined brother–the 300C–as our Automobile of the Year for 2005, and the extroverted looks and presence of the car influenced our choice. Styling-wise, the 300 makes the most confident and bold statement of this group, and we appreciate that. The Five Hundred and the Avalon have inoffensive (read: boring) appearances that may make them popular with less-adventurous buyers. We find their conservative approaches largely uninspiring, however. The Avalon had a bit of coolness to its jagged rear-end lines and graphite-colored wheels, but our interest peaked there. 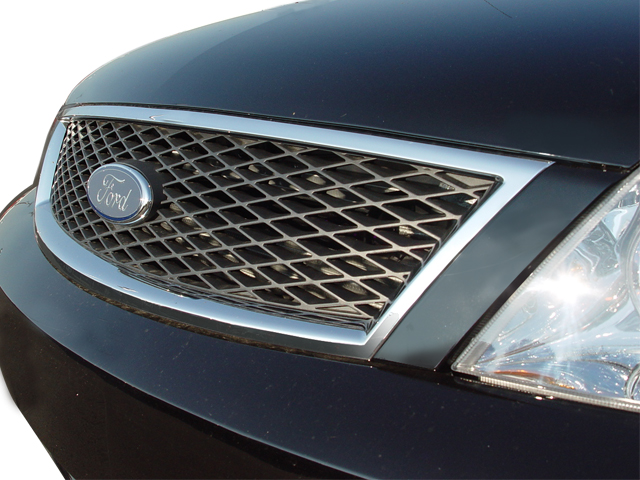 Ford has begun offering meaner grille inserts for the Five Hundred to help add some flavor to the over-rounded shape, but it still falls short of distinction in our eyes. 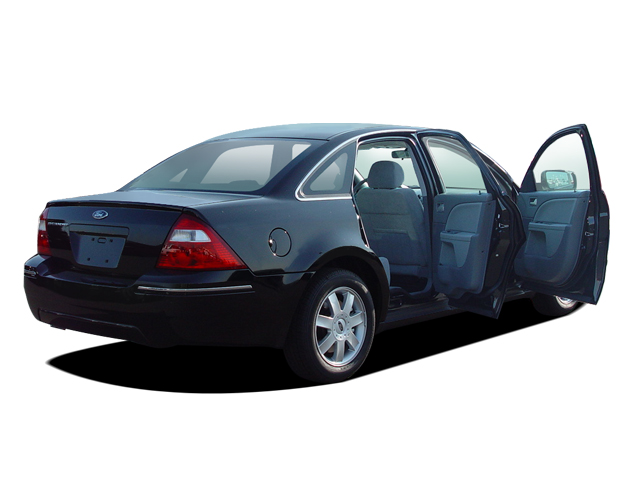 Looking InAll of these cars feature ample interior and cargo space for four adults and a good chunk of their gear. Each car seats five, but quarters might be a bit too tight for three full-size folks in the back seat during longer trips. All three sedans boast similarly roomy measurements for head and leg room in the front and rear seats; the back seats in each car could qualify as approved make-out territory for high schoolers, no doubt to the chagrin of their parents.The 300’s cool exterior styling unfortunately causes the inside to have some shortcomings. 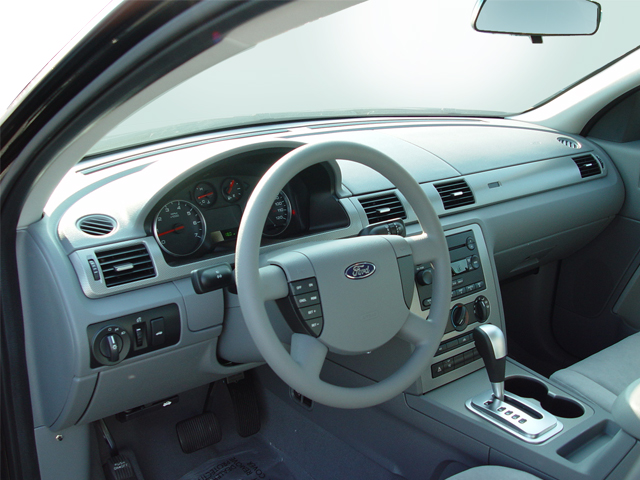 Even with the large sunroof and competitively sized cabin, the interior often feels dark and small as a result of its smallish windows and consequently limited visibility, especially through the short rear window. The darkness can’t hide the Chrysler’s poor-fitting trim pieces and mediocre materials less attractive than those in the other cars. 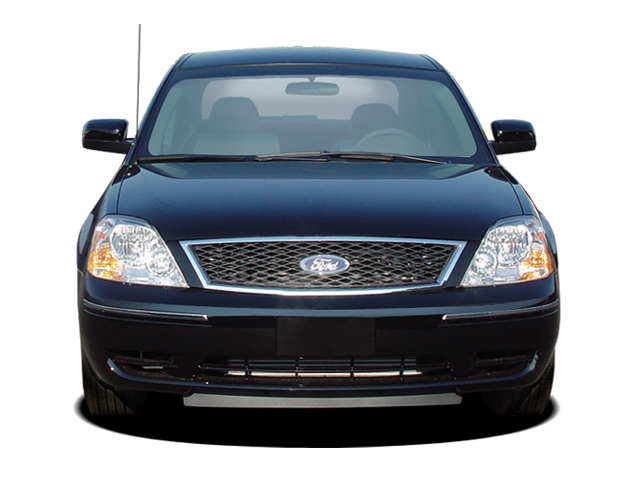 A perfect example is the down-market center-stack trim piece, which is covered with a chintzy (compared with the Ford and the Toyota) interpretation of Cyclone fencing. The seats, however, are probably the weakest part of the Chrysler’s interior, as they are covered in an unattractive and slippery vinyl-like surface and felt a bit over-firm during lengthy drives. The Five Hundred‘s clean and attractive interior is well-executed overall, and a notably high seating position assists in presenting the driver with very good visibility. The high seats also help ease ingress and egress, even for people with chronic back pain. However, we found the front seats (the only heated pair in our test) to be almost too high, creating a feeling of exposure unusual in a four-door sedan. The Ford features a test-leading 21 cubic feet of trunk space, so climbing in and hiding when feelings of nakedness overwhelm is an option. 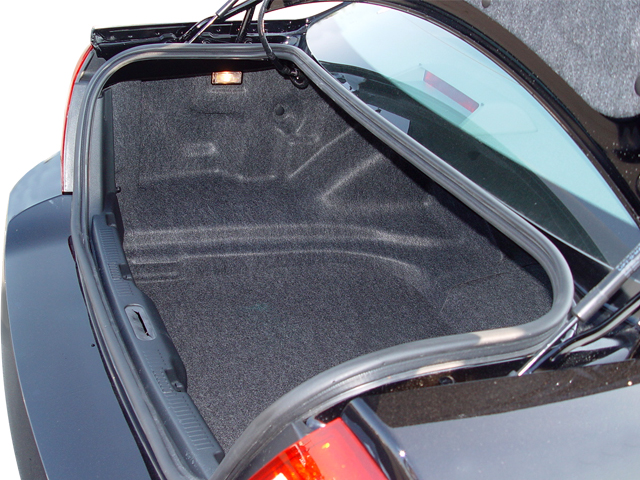 (The 300 and Avalon have a comparatively meek 15.6 and 14.4 cubic feet, respectively.) A lack of soft-touch materials and an overabundance of fake wood trim didn’t score any points with us, though. The Avalon feels like it’s the best put together of the three, with well-wrought action attached to all of its pleasant-to-touch controls, particularly the radio dials. We felt that the Toyota‘s ergonomics were easily the best. 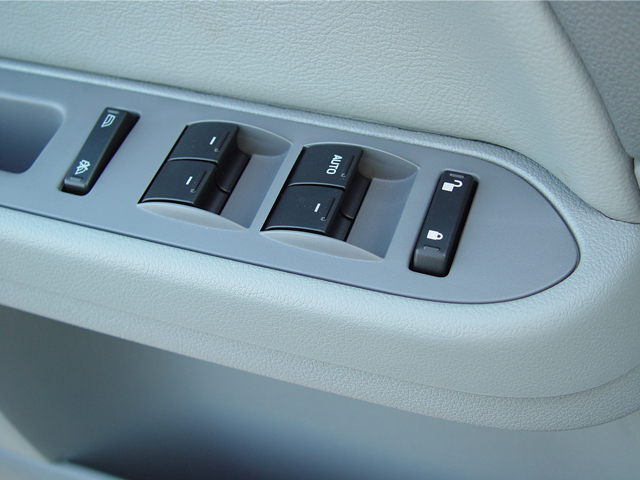 The interior was, however, dominated by an overabundance of silver control covers (radio, tape player, cup holders) and trim, and some of our testers accordingly found the Ford more attractive. 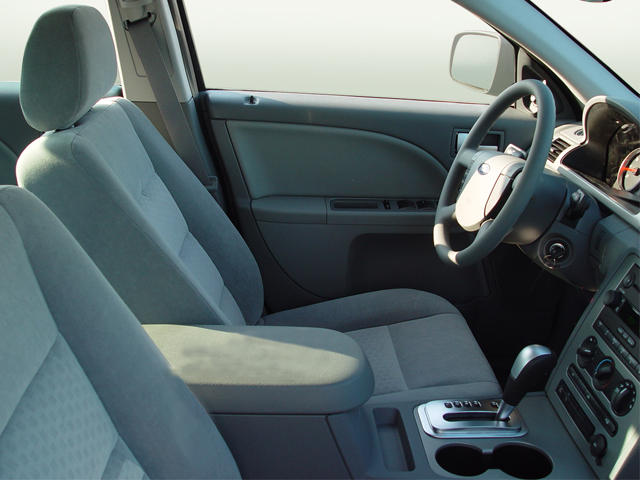 While the Toyota’s seats looked the nicest because of their attractive materials, on long trips they began to feel a bit too mushy and unsupportive, so the seats of the Five Hundred, though not perfect, were by default our favorite. The Avalon (built in Kentucky, incidentally) also kept out road and powertrain noise much better than the Detroit candidates. 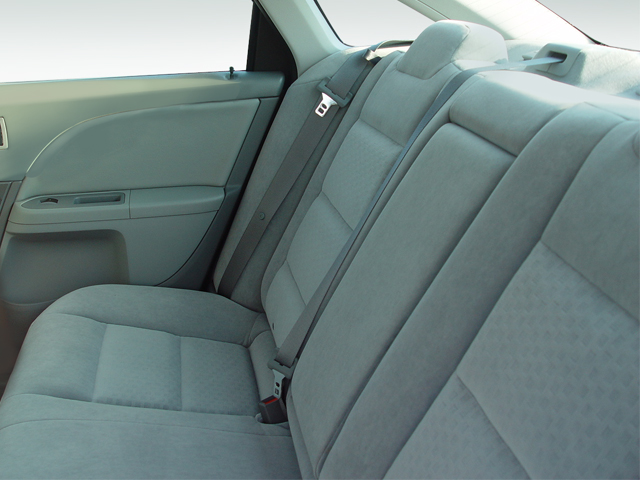 Moreover, the recline-adjustable rear seats of the Avalon made it our favorite space in which to be chauffeured. Plausible PowertrainsThe sluggish Five Hundred was powered by the most disappointing engine in our test. Full-throttle starts are rewarded with lots of noise but little thrust from the overtaxed 203-hp, 3.0-liter V-6. The six-speed automatic transmission aids fuel economy, but it loudly and unnecessarily downshifts on the highway even under subtle throttle inputs. 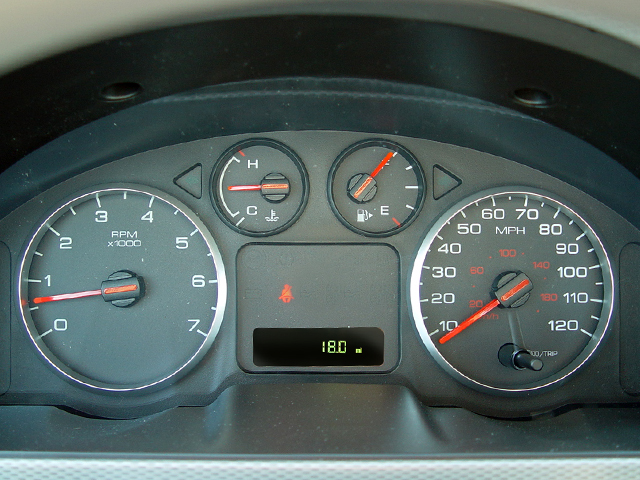 We would have preferred more gear-selection options, too; the shift map offered only “D” (drive) and “L” (low), and Low was too short for utilizing engine-braking techniques. The Touring models of the 300 and the Avalon come with identically sized, 3.5-liter V-6s that make the Ford’s output seem puny. 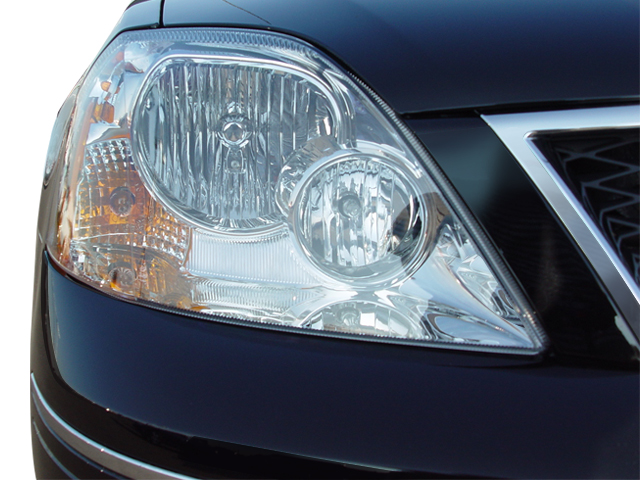 The Chrysler produces 250 hp, while the Toyota’s more refined engine wrings out 280 hp. The Toyota sported the only manu-matic on our test, which came in handy for holding engine revs through long, sweeping curves and engine braking. The five-speed transmission did its job commendably and without fuss, whether passing on country roads or cruising on the highway. The Chrysler’s V-6 has acceptable power, but it pales in comparison to the available 5.7-liter Hemi V-8 that lurks between the fenders the 300C. Also, the four-speed transmission (which offers the fewest cogs in this test) clunks noticeably when you shift from Park to Reverse to Drive. 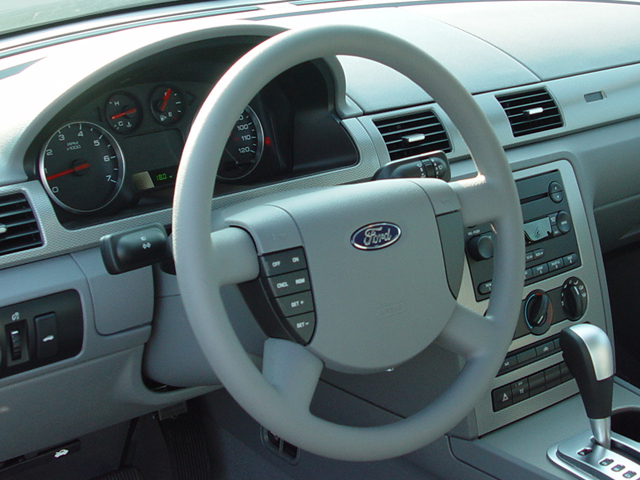 EPA fuel economy ratings are comparable, but mirror our rankings of the cars’ interiors: Toyota leads with 22 city/31 highway miles per gallon; Ford is next best at 21/29; while the Chrysler slurps the most fuel, though yields a still-respectable 19/27 mpg. Fun FactorsThe nimble ‘s rear-wheel-drive layout easily made it our favorite to drive aggressively through twists and turns. In fact, its lighter front end–compared with the 300C, which weighs 300 pounds more than the Touring model–helps somewhat to make up for its power handicap. Against the two big front-wheel-drive competitors in this test, the 300’s superior traction and simpler steering mechanicals allowed it to be more composed and capable, especially near the limit. The same suspension setup that made the 300 fun to drive, however, was a hindrance in processing road-surface imperfections, as it was the most likely to be tossed around by bumps instead of absorbing them. The trade-off is that the Toyota and (especially) the Ford tend to track lazily and float more on the highway. For a large front-wheel-driver, the Five Hundred, was surprisingly fun to drive hard through the corners, as its steering, throttle, and brakes felt well connected and progressive. The underpowered V-6 and significant body roll hindered the driving dynamics somewhat, as did its overall feeling of heft. The Avalon was not engineered for the sporting drives we prefer–even with the Touring model’s stiffer suspension. Steering was vague and control quickly switched to extreme body roll and understeer when the car was pressed. Safety These cars’ responsible, people-carrying intentions should make safety an especially important consideration for owners. 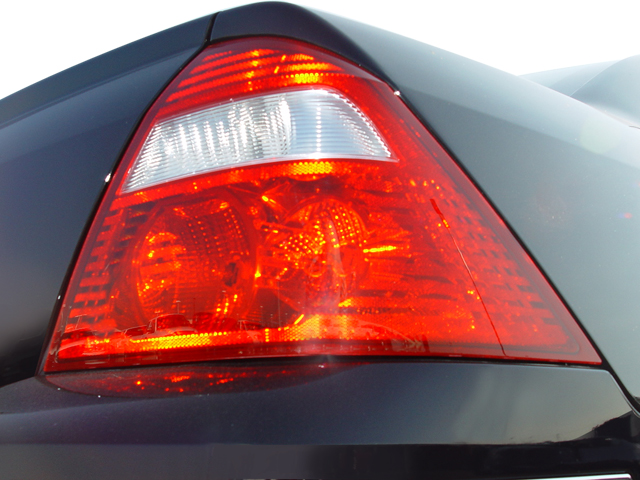 All three score well, notching five-of-five stars in the National Highway and Traffic Safety Administration’s front- and side-impact ratings–except for the Chrysler, which received four of five in front-seat side impacts. The Ford and Chrysler also earned solid four-star rollover ratings; the Toyota had yet to be tested. Antilock brakes come to the 300 as part of the Touring package, while the Five Hundred and the Avalon offer this important feature as standard equipment. The Chrysler, the heaviest car of the three, is the only one with stability control offered on the tested trim level; Toyota offers it on some other Avalon models, but Ford doesn’t yet offer it on any Five Hundred. 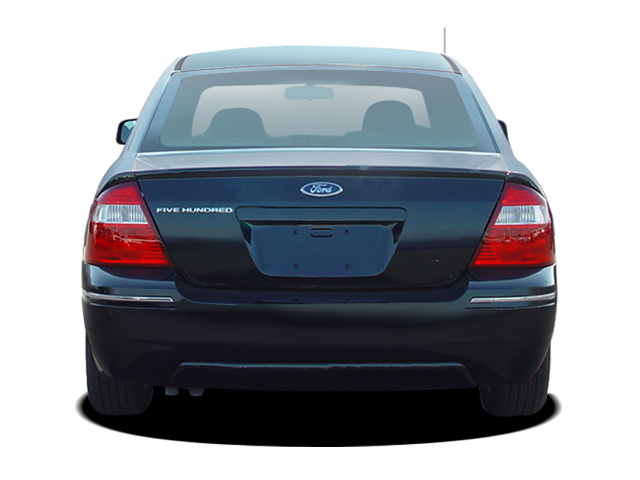 The Toyota boasts standard front-side and front and rear side-curtain air bags; curtain inflatables are optional on the other cars, although the Ford is the only machine that does not offer side air bags. The SkinnyBased on its sporty nature and superior fun-to-drive quotient, we would buy the Chrysler 300. Its interior is the weakest in the group, but its exterior styling is the most interesting and eye-catching. 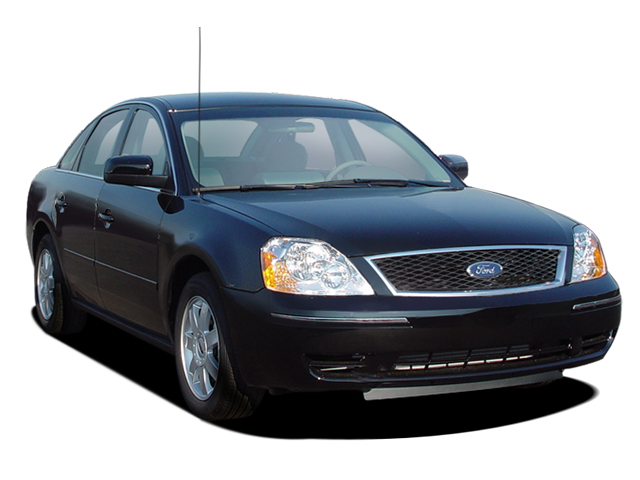 The Ford Five Hundred is by no means a bad car, but it is outdone in nearly all areas by one of the two other competitors here. It does offer some enjoyable driving dynamics if you’re able to deal with its lack of power.Executive editor Mark Gillies called the Avalon, “a perfect example of car-as-appliance.” We’d recommend the to most people based on this car’s refrigerator-esque likelihood for efficient, trouble-free–though perhaps largely unexciting–operation for many years and thousands of miles. All three of these family sedans offer what most Americans desire: a good highway ride and lots of room inside. With these latest solid efforts from Chrysler and Ford, Detroit has made some significant headway on Japan in terms of the overall package, but they’ve still got a way to go before they can catch up from a quality-and-value standpoint. 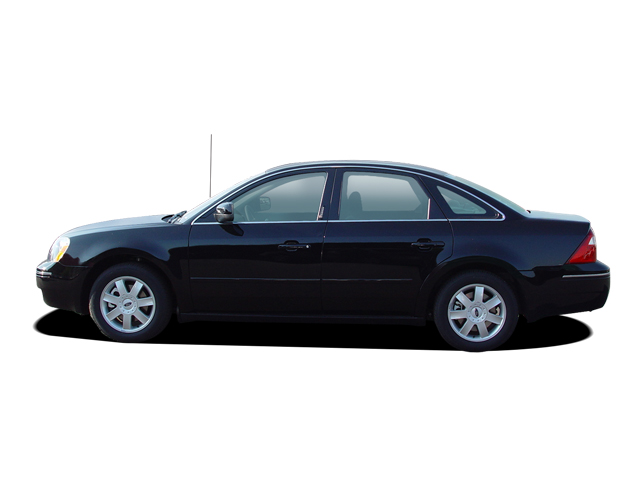 An efficiently packaged, well-mannered, safe, and conservative sedan. How does our Automobile of the Year’s V-6 powered little brother stack up to the competition? Can Chrysler stay on top without Hemi power? 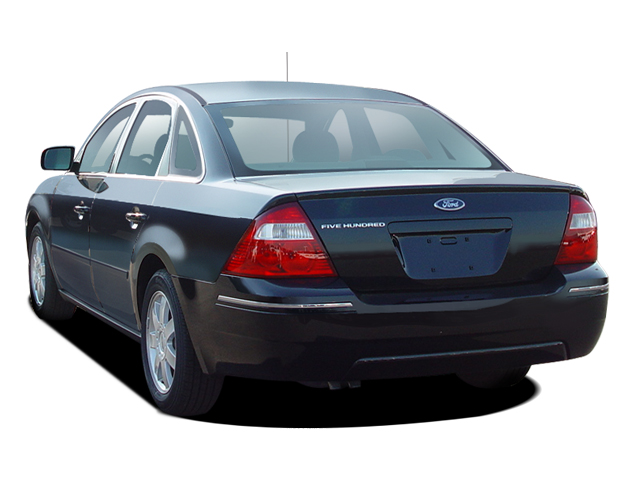 The great American car: Ford brings back the spirit of the traditional American big sedan with the Five Hundred.